A new era for Tinderbox: the tool for notes. Tinderbox 8 is now available with more than 150 visible improvements and lots of new technology. Tinderbox is now scriptable and cooperates even more smoothly with even more tools. Whether you’re plotting your next thriller or writing your dissertation, designing a course, managing a legal practice, coordinating a campaign or planning a season of orchestral concerts, Tinderbox 8 will be your personal information assistant. A huge update with lots of great new features! Read the highlights, then download your copy. Need to purchase an upgrade? Here you go! Tinderbox stores and organizes your notes, plans, and ideas. It can help you analyze and understand them today, tomorrow, and over the coming months and years. You can build Tinderbox documents that help organize themselves and that keep your data clean. We believe in information gardening: as your understanding grows, Tinderbox grows with you. Writers and journalists find Tinderbox invaluable for research, world-building, sourcing, and plot construction. 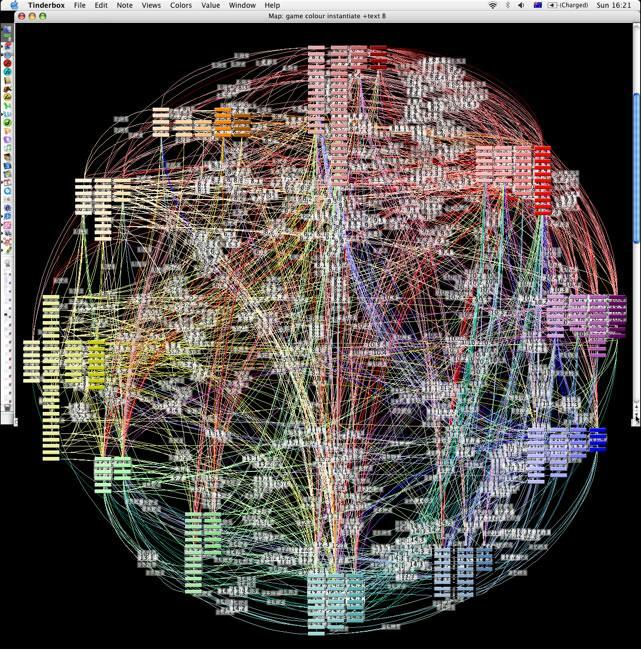 The Tinderbox map view shows relationships and links among dozens or hundreds of notes. 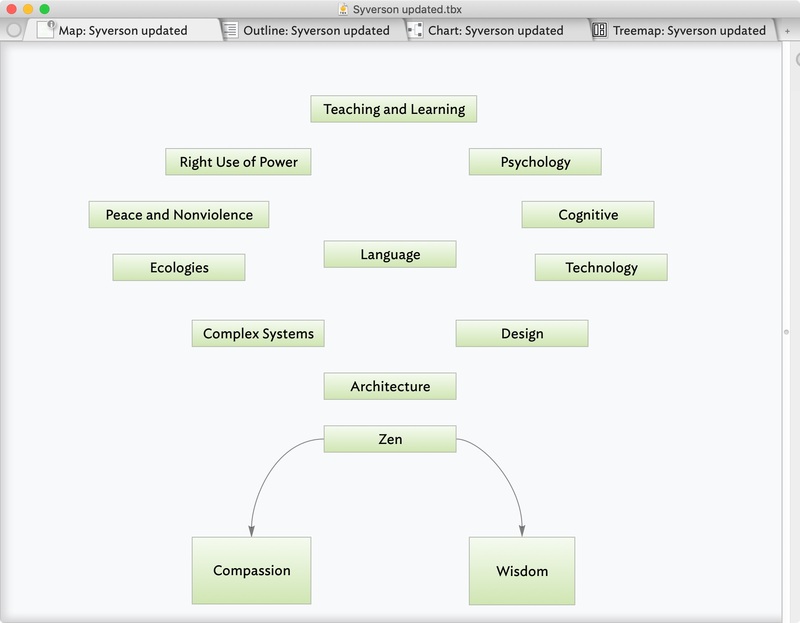 Structure emerges and evolves naturally as your understanding grows. Sketches and background for a new science fiction novel by Mike Wrenn. 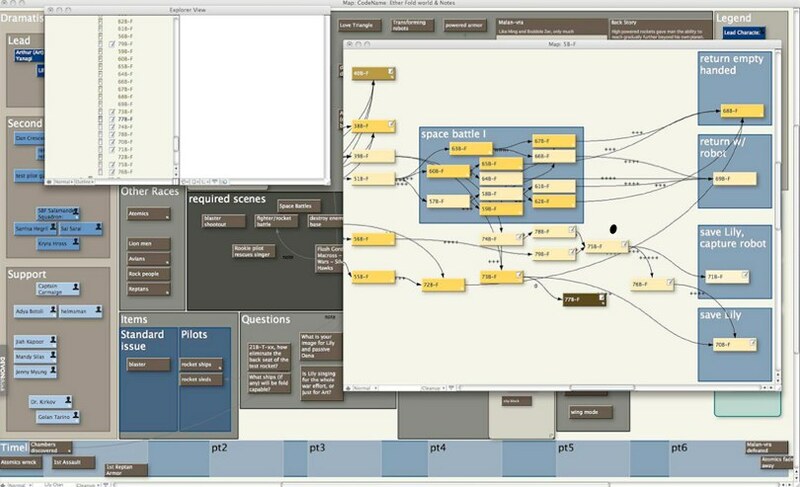 Tinderbox maps your notes as you make them. Build relationships by arranging notes, organizing them with shape and color, and linking them. Tinderbox lets you record ideas quickly and keep them where you'll find them again when you need them. Tinderbox agents and notes can gather information throughout your document – or from the internet – to build custom project dashboards. Here, a writing project displays key productivity statistics and progress milestones, automatically gathered from the rest of the document. Tinderbox gives you maps, timelines, charts, outlines, and more . View your notes from lots of perspectives. Tinderbox notes can have prototypes, saving you time and keeping your work organized. A note is just like its prototype -- except when you've said it's different. Change the prototype, and the change is inherited instantly. Attribute browser tabs give you a cross-section of your work or of selected portions, broken down by the category of your choice. 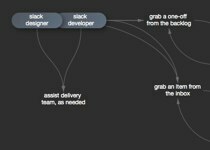 J. D.Hollis, lead technical architect at Indie Labs, uses Tinderbox to explore process workflow and to improve performance. 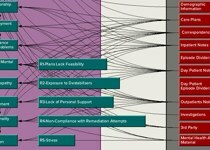 Tinderbox is a uniquely powerful tool for experimental information architecture, helping to visualize alternatives while retaining useful abstractions. Exceptionally flexible Tinderbox export tools let you move, if needed, directly to XML and HTML prototypes. 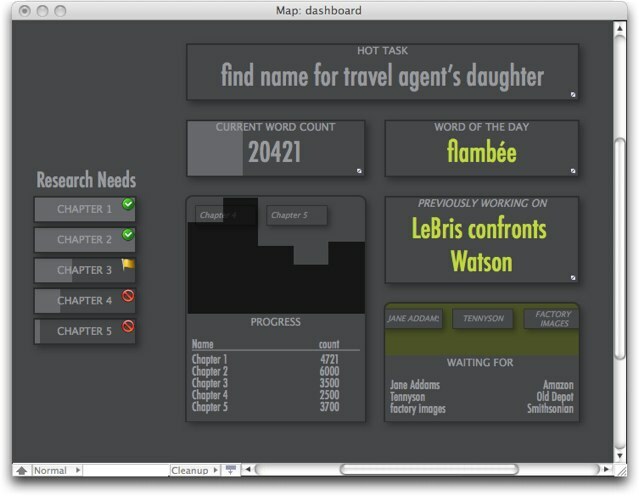 Tinderbox agents scan your notes continuously, searching for notes that meet your criteria. Agents can look for tasks that are overdue, or notes you need to complete, or topics that you find especially interesting. Tinderbox can automatically update notes from the internet, the cloud, or your DEVONthink Pro repository. Tinderbox provides a host of tools — separators, graphic badges, and much more — to make complex outlines more manageable. While simple outliners merely apply a stylesheet to everything, Tinderbox notes can inherit their appearance from prototypes or adapt themselves to their context. Simple rules and agents let documents help organize themselves. 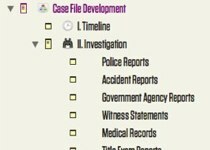 Attorney Stephen M. Winnick uses Tinderbox as a case management repository. A Tinderbox stationery document, Summary Judgment, provides a common starting framework for each case. 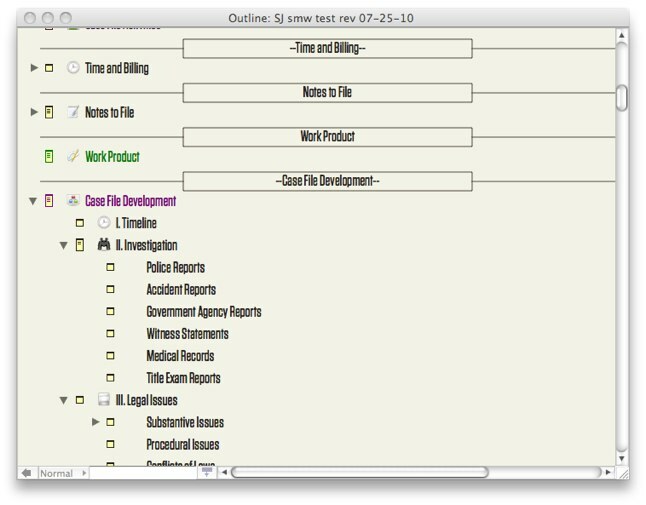 He describes it as “your law office on a flash drive – good to go!” This large outline contains a wealth of information, from intake forms and checklists to invoices. Tinderbox handles thousands of notes with ease, and Tinderbox is fast. Want to make a note? Just type! Want to edit a note? Just click. Need to search? Tinderbox starts looking for the answer as soon as you start typing, and often finds your answer before you finish. Detail from a timeline of the life and literary work of Oscar Wilde. Taken from working notes on a new musical comedy by Michael Bywater. 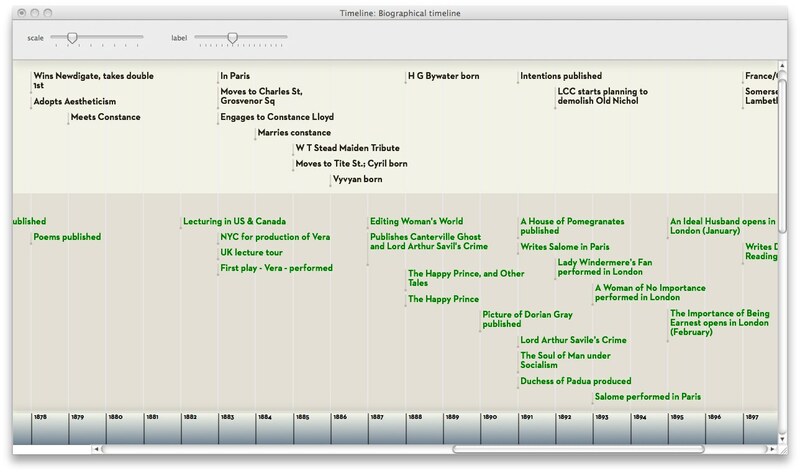 Tinderbox’s timeline view creates wonderful, interactive diagrams to reconstruct events and plan projects. With Tinderbox, your data is yours. Tinderbox files are XML, and Tinderbox can create HTML, XML, RSS, OPML, and more. Tinderbox shares notes with Simplenote, Notes, Evernote and DEVONthink Pro Office for iPhone and iPad coordination. Tinderbox export is unequalled in flexibility. 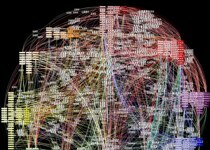 Everything is stored on your own computer: you aren't dependent on a distant server. Write anytime: on airplanes, in cafés, at home or away. Tinderbox can promote understanding of complex processes and workflows, and helps track the progress of individual issues through the system. Because the map is active and each item is a note with unlimited capacity, maps readily adapt to improving processes. Risk assessment, case notes, and court reports: map by forensic psychiatrist Dr. Fionnbar Lenihan. Tinderbox documents adapt to your work style and grow with your understanding. Tinderbox can help keep your data organized and complete, automatically supplying routine metadata and discretely reminding you of gaps and errors. Tinderbox can even remind you if you repeat the same words too often. Tinderbox AI automatically recognizes addresses, and gets their geographical location for you. It finds names and organizations mentioned in your notes, helping your agents to tag and organize your work and freeing you to concentrate on what matters most. Tinderbox works with you when you’re on the go. Add a note to your iPhone Notes app, and it can be routed automatically to the appropriate Tinderbox project on your Mac. Works with Notes, Evernote, DEVONthink To Go, Dropbox, iCloud, and more. Prof. Julie Tolmie, now at King’s College, wanted to study pattern languages in computer game design. Each pattern is a separate note; color and position identify categories of design patterns. Tinderbox has the flexibility to adapt to your personal needs and to the structure of your work, rather than trying to fit your work into a predetermined structure. Tinderbox offers the power and speed to tackle large problems while remaining fast, interactive, and flexible in daily use. Tinderbox is personal. It works the way you want, and adapts gracefully as your needs change. It's small and agile, so you can get started right away, but it's got the power you'll need to handle all your notes. Your Tinderbox agents work constantly to keep things organized. A rich portfolio of views -- maps, charts, outlines, and more -- keeps you in touch with your information. Work the way you want. Tinderbox is a deep program with an active and friendly user community of people doing amazing work. 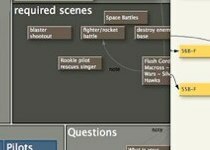 The Tinderbox Forum hosts ongoing discussions and tutorials. It’s an extraordinary community. Have questions about getting started with Tinderbox? 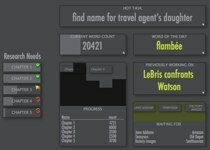 Need help designing a tricky agent? 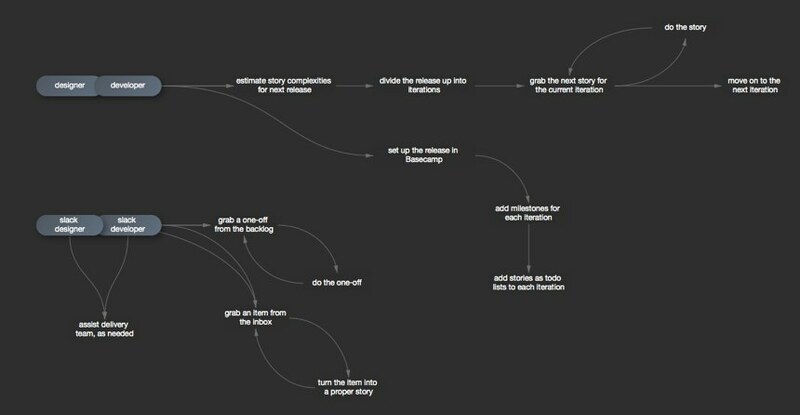 Look at the fascinating user screencasts, or drop by the Tinderbox Forum. Tinderbox weekends – held throughout the US and Europe – bring Tinderbox users together to share ideas and to explore Tinderbox with the developers in person. Application notes and case studies explore uses of Tinderbox from Forensic Psychiatry to writing musical comedy. You can arrange private Tinderbox training for you and your team. There’s even a backstage program for people who want a front row seat for future Tinderbox development.